Start reading The Life You Longed For: A Novel on your Kindle in under a minute. "The fear of losing a child is horrifying. The fear of knowing people think you hurt that child is annihilating. In The Life You Longed For, Maribeth Fischer probes the netherworld of Munchausen Syndrome by Proxy in an affecting, startling story. This may be the novel you longed for." "Maribeth Fischer is as much a scientist as she is a poet: in her heartbreaking exploration of motherhood and the way tragedy can grow out of everyday choices, she analyzes and deduces, layers and uncovers, to teach us things we never knew about the science of love, the biology of betrayal, and the epidemiology of loss." "A fiery and modern-day version of the witch hunt, The Life You Longed For is the story of how a mother can be accused of the worst offense by any doctor, friend, or neighbor. But this is no dark tale, The Life You Longed For is beautifully written and filled with characters who are fallible, utterly human, and completely compelling. It is a novel brimming with joy, heartbreak, and the power of love." "Grace is as vigilant, astonishing, and brave as she is exhausted and imperfect. Simply put, she is a mother. In intimate and achingly lyrical language, Maribeth Fischer tackles the question: How do we love in the face of inevitable loss? The answer she gives us is: Fiercely, completely." "The Life You Longed For moves swiftly and painfully through so many levels of grief, anger, and fright -- but it never loses sight of the power and majesty of love. This book should be required reading for every single person who makes a living in the medical profession, and everyone who has ever longed for the duties and rewards of parenthood." "The Life You Longed For pulled me from beginning to end without pause. Maribeth Fischer's beautiful, clear, descriptive writing engages all the senses while immersing the reader in mystery." Grace's son, Jack, is a miracle; a three year old, fighting a mysterious and deadly disease doctors predicted would kill him as a baby. The family's world is upended when a friend of the family lets it slip: there has been an investigation. Grace has been accused of Munchausen's Syndrome by Proxy, the strange psychological disorder whereby seemingly good mothers purposely fake or exacerbate their child's illnesses to get attention. As a result, Grace begins to suspect every doctor and nurse that has ever taken care of Jack, every friend and acquaintance, even her husband. Who has accused her, and why? The Life You Longed For is gripping, suspenseful, and the definition of a page-turner - readers will want to skip to the end to figure out if the accusations are true. By mixing this controversial topic with endearing characters and a delicately layered plot, Maribeth Fischer has established herself as a voice to be reckoned with among today's finest women writers. Clearly, the author's friends and/or her personal book club have posted all the wonderful reviews about this book. She is also extremely selective about what she includes in the book vis-a-vis the outside reviews from Booklist, etc.--they are "damning with faint praise" at best. The author's comparison of the reality of Munchausen by proxy maltreatment to the Salem witch hunts literally nauseated me--I have seen videotapes of MBP mothers suffocating and otherwise sickening their children, so there is simply NO DOUBT that this treacherous form of child abuse exists in startling numbers. On the other hand, experts are divided about whether mitochondrial illnesses exist and, if they do, whether they affect more than a very, very small number of people. The author, who is not as talented as she thinks she is, has done an immense disservice to the field of child protection. She should be ashamed. Rarely does a book keep me reading until the wee hours of the morning. The Life You Longed For: A Novel, was such a book. As a scientist, I could relate to how much this mother was relentless in finding answers that other scientists (doctors) couldn't and doing everything possible to help her child (hopefully any mother would, scientist or not). The book stirred up lots of emotions for me...I realize Child Protective Services needs to take accusations seriously, and in the book they investigated her for about a year, initially without her knowing. I don't know what else they could have done differently. But you really feel for the mother as she struggles with the accusation and tries to figure out how to portray herself so that she doesn't come off as "guilty as implied". I totally understood the correlation to the Salem Witch Trials having read an earlier book on that subject. It was a very sad story, and yes the mother made mistakes. But overall it was an interesting story, with excellent writing. 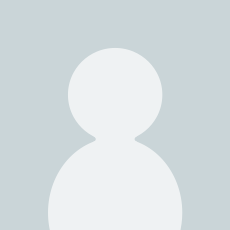 Reviewed by Carol Janc - The best experience in life is to bear a child, know a child, love a child. Perfect innocence. Unless that child carries the dark secret of an incurable disease. Then life is terrifyingly shattered; a family knows the experience of being keel hauled despite overwhelming devotion and love. 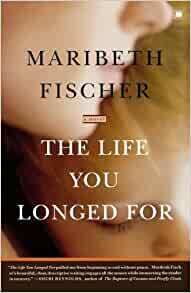 That is the family MARIBETH FISCHER casts a spotlight on in THE LIFE YOU LONGED FOR. Based on medical facts, and a painfully believable family, this book is so close to the bone, so true, so enlightening about the lives of those involved with the serious and deadly illnesses of children. It is a must read for moms and dads, as well as medical professionals. THE LIFE YOU LONGED FOR will touch your heart and your head, hopefully forever. 5.0 out of 5 starsBest novel I've read in ten years. A few years back I read and taught The Language of Good-bye, Fischer's first novel, in the MFA in Writing Program where I teach. The students (and I) were impressed with Fischer's beautiful style and ability to juggle plots lines and viewpoints, particularly because her two main characters came from such different cultures. TLOGB is a book I've read more than once and truly enjoyed, so naturally I looked forward to her next book, which was a while in coming. But SO worth the wait. There is nothing uneven about this book, so pay no attention to the Kirkus review. Having finished The Life You Longed For just moments ago, I felt compelled to write this review. It is an astonishing book. This is the best kind of story there is--involving, complex, raw in places, a peek into a world that could slip right by. The characters are imperfect and human and so real it gives you the shivers. The amount of scientific information, the weaving of 9/11, the denoument, wow. Another reviewer said it would make a great movie, and while that's true, I am satisfied that it is a book because I know I will read it again and again. TLYLF belongs on the New York Times bestseller's list. I plan to buy copies for my reader/writer friends and spread the word. Just a tremendous read. I hope Fischer has another book in the hopper so I can read more of her stories soon. Loved it. The reviewers who have called this book an "exploration" are right on target. I was a little disappointed to see the number of jacket blurbs from authors who are women because I thought it may have suggested that this is a woman's book, and it is no more necessarily a woman's book than Job is necessarily a man's book. Both books feature a central character whose life is animated by unconditional love and devotion; in both cases the character ends up in trouble for that very reason; and, in both cases much of the book is consumed in an effort to discover what it all means. There is a kind of diabolical cleverness in the plot, in which the mother of a terminally ill child, a woman who is struggling to keep the child alive in a world that sees his death as a foregone conclusion is suddenly accused of Munchausen's Syndrome by Proxy (MSBP), that is, of making the child sicker as a means of getting attention. The accusation forces her to question everything: her own motivations, her relationships, and her perception of reality. MSBP is the perfect tool to pry the truth of things out of the plot because the observable symptoms of it are all the same observable traits of a devoted and caring mother. The facts don't much matter when the conclusion is known. One could carry the comparison with Job too far but his friends did spend most of the book spinning out potential reasons for his plight: all of them wrong. Ms. Fischer's writing is especially effective because it is full of highly detailed images and metaphors so the reader is submerged in a concrete world where everything can be visualized and felt. Just as is the case with MSBP, the details are very important but they are not enough. Just what is enough - well, you'll need to read the book to find that out. There's enough meat in this book to keep a book club busy. The fundamental questions about love and personal motivations and the presence of evil in the world will keep resonating long after the book is closed.